The time after graduating from college is a frightening one. Now that we’ve entered the “real world", what’s supposed to happen? Things get even trickier by the late 20s, when some have grabbed the reins of adulthood. Where does that leave everyone else? Noah Baumbach thrives on presenting the insecurities faced at each new stage of life. Kicking and Screaming depicted young guys who hadn’t completely pulled away from their college heyday. 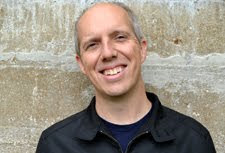 Greenberg fast forwarded to a man in his 40s trapped by his past failures. He’s tackling a different type of challenge with his latest picture Frances Ha. Co-written with star Greta Gerwig, the story chronicles a self-sabotaging 27-year-old who can’t seem to find the right path. Presented in gorgeous black and white, this new film captures the divergent paths that separate even the best of friends. Frances (Greta Gerwig) and Sophie (Mickey Summer) are best friends who live together and spend their days messing around in New York. Their relationship changes when Sophie moves out and begins a serious relationship. Frances is struggling to become a dancer and feels lost without her closest ally. Her social graces aren’t very refined, and this leads to a series of awkward encounters. She moves in with Benji (Michael Zegen) and Lev (Adam Driver), but her financial situation may push her away from her dreams. How does the black-and-white cinematography serve the film? 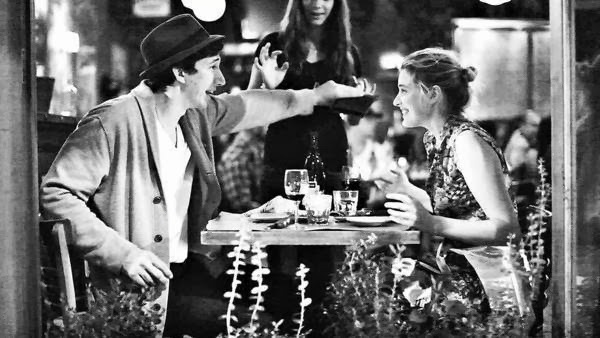 Baumbach’s choice to use black and white connects Frances Ha with the screwball comedies of the 1930s. Greta Gerwig spends the film running awkwardly, falling down, and committing gaffes like sleeping through much of her trip to Paris. While the setting and themes are modern, there’s always the feeling that Frances will eventually find her way. Another connector is the films of the French New Wave, particularly Godard’s Band of Outsiders and Truffaut’s Jules and Jim. Both of those pictures are shot in black and white, and the style from certain characters matches that look. This style brings out the charms of the streets of New York and Paris, even while Frances struggles to find her way. Does this style feel modern or like more of a throwback? Baumbach and Gerwig provide an interesting mix of modern and classic themes that are easily identifiable. Who doesn’t connect with losing touch with a friend who’s drifted into different circles? Frances is lost without Sophie and doesn’t know how to interact with rich kids from the city. Her middle-class upbringing from Sacramento gives her a much-different outlook. There’s little cool in her approach to life, and that contrasts sharply with her smooth acquaintances. She’s lost at a dinner with very-rich New Yorkers who have vacation apartments in Paris. During this scene, the film becomes a comedy of manners with the awkward country girl lost among the fancy socialites. How interesting are the characters within this setting? This precious atmosphere is tricky, but it works because Gerwig understands Frances. She shined in a similar role in Whit Stillman’s Damsels in Distress, though this character has more connections with the real world. She has talent but needs to recognize that her goals should be different. Michael Zegen’s Benji makes sense as a romantic connection, and he pulls off the understated guy well. Mickey Summer also does well as Sophie, who’s more put together on the surface than her best friend. It’s their connection that forms the heart of the movie, and the separation pushes Frances into a downward spiral. Baumbach is wise to avoid the romantic formula because the key friendship drives the story. 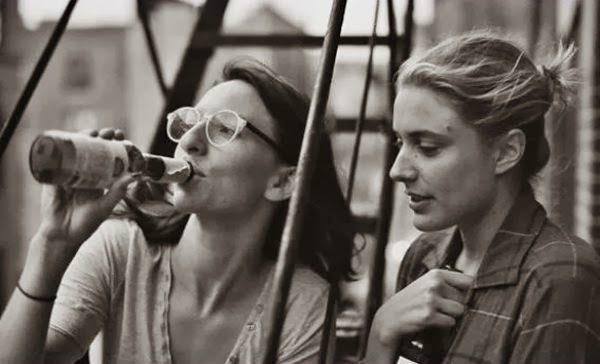 Frances Ha moves dangerously close to making her too hapless, but it never reaches that point. Baumbach recognizes that Frances can succeed if she learns to get out of her own way. It’s that recognition that keeps us on her side and makes the story click. When that bond combines with the attractive visual style, it leads to a refreshing experience. The pivotal factor is Gerwig’s performance, and she delivers the strongest of her excellent career. After honing her craft with indie veterans like Joe Swanberg, Gerwig has burst onto the scene as a rising star. She appears in every scene in this film and never strikes a false note. It’s an award-worthy performance that helps to create a remarkable movie. For me, this is Noah Baumbach's crowning achievement as I think it's the culmination of everything he's done and takes it up to 11. I hope the film gets come recognition from the Academy, especially for Greta Gerwig. I'd love to see Greta Gerwig get a nomination; I've been a fan since I saw her in Hannah Takes the Stairs a while back. Still, I think it's a long shot. Glad you also enjoyed the movie! Really good work here Dan. Heard some excellent things about this. It's moving up my wishlist. Thanks! I definitely think it's worth checking out, especially for Gerwig's performance. Move it up the list! Nice work here, man! I'm a big fan of Baumbach so this is certainly on my list. Mark, thanks for the comment. It's available on Netflix streaming and DVD, so I'd definitely suggest checking it out.